Junior accounts are for players 12 years of age and younger. If our moderation and evidence systems detect underage activity on a non-junior account it will be converted to a junior account. You have two weeks to complete your appeal of a junior account conversion before it becomes permanent. To appeal please message us ASAP at conduct@againstgrav.com. If you are the parent of a child 12 years of age or younger who enjoys Rec Room, please create an account for your child by entering their correct birth date at account creation. To create a new account, start up Rec Room and then choose the 'create new account' button. You will then need to input a parent or guardian's email for the junior account. If you are a parent or guardian with your own Rec Room account, you can reuse the email you registered on your account for your child. If your child has already created an account and you would like us to switch it over to a junior account, please contact us at conduct@againstgrav.com. If we detect underage activity on non-junior accounts, all accounts at that location may face a permanent ban. You can have junior and non-junior accounts on the same computer! Junior accounts will show a red JR icon on their account preview image when you start up Rec Room and see a list of your available accounts. 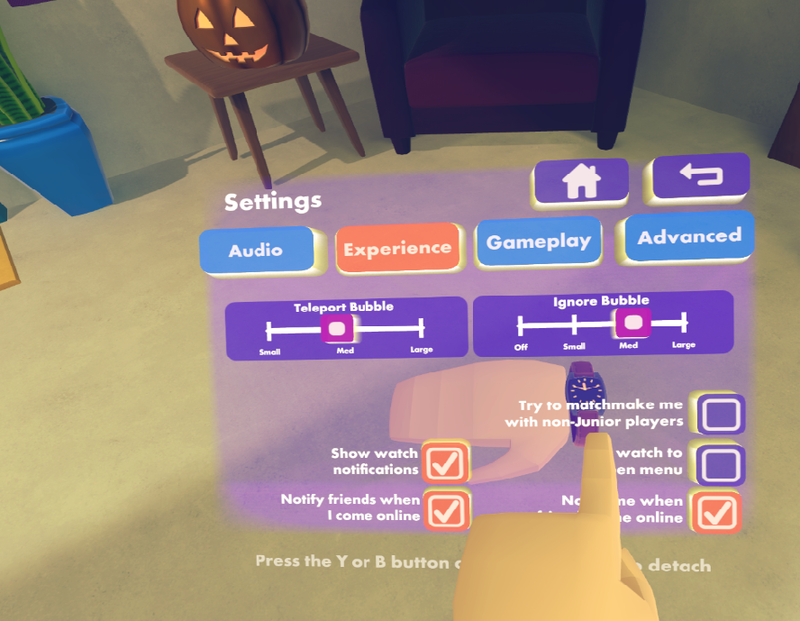 You can also tell if you are on a junior account in Rec Room by going to your watch menu > Settings > Audio > and checking to see if your microphone is disabled with a message about the account being a junior.